I’m very pleased for you Julian & I’m sure you’ll get many years of enjoyment from this new radio. Wow! What can I say more? I had an idea that was what was going on when I read your earlier blog post, and was hoping that was the reason for the e-mail. Enjoy your KX3 Julian, and I'll be keen to read your opinions on it - particularly on the receiver. I am so pleased! When I read your earlier e-mail I had hopes, but I had no idea! Am now looking forward to hearing how you get on. If any of the conspirators are reading this, WELL DONE! Great Julian have fun with it. From what I did read this is a fine radio. And it matches all the other Elecrafts in your shack. Julian that is GREAT news!! Enjoy the rig and do give one of your reports on the rig and how it does as well. Excellent Julian! I'll be looking forward to your impressions of it, particularly the SDR aspects...all in due time of course! Indeed, thank you Elecraft and you conspirators. Well done. Nothing like a new radio to take your mind off things! 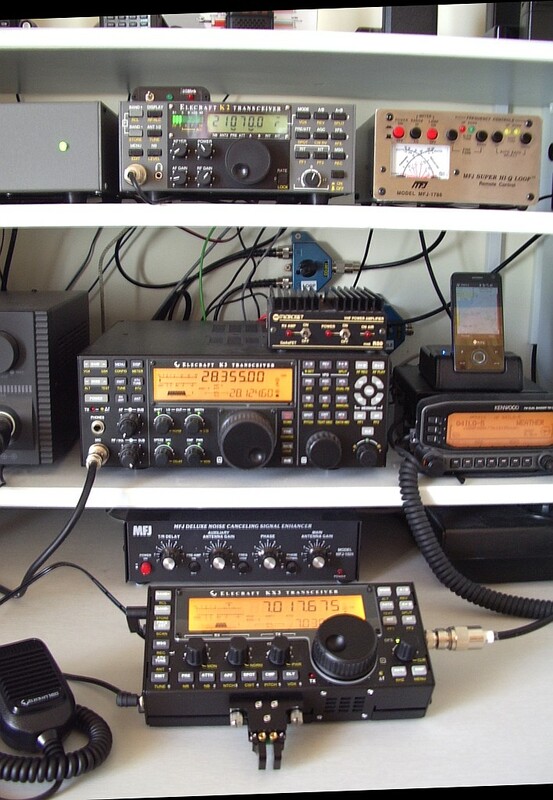 We're all looking forward to hearing about operating latest Elecraft wonder! Vy 73 OM! Looking forward to working you out on the Hills with it Julian!! Well done to the "conspirators" !! Very pleased to hear about this nice surprise. I hope you get lots of enjoyment from it and very much look forwards to hearing your views on it. I am also feeling very pleased. That is a pleasant surprise indeed ! You really deserve this Julian. May you enjoy this wonderful little radio for a long time. Well done to those into the conspiracy. Like many of the other people who commented, I feel that you really deserve this gift. What a nice move from very smart people, now you have a very nice incentive to be on the air !!! Who said ham radio doesn't develop human relationships ... Enjoy it !!! I'm glad we were able to help arrange this little surprise for you. It's an honor to have you using a KX3. 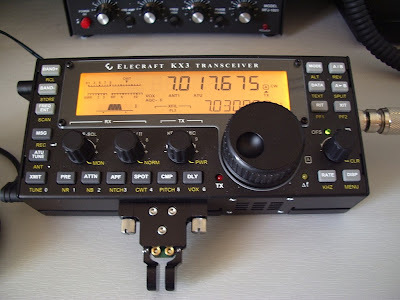 As with the K3, I fully expect your comments about the KX3 will help us improve it. But above all, I'm picturing you out in the field, enjoying rays of both sun and RF.